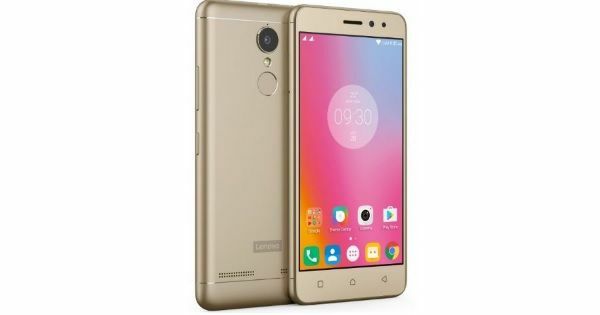 After teasing the K6 Power in India over the past couple of weeks, Lenovo has finally the smartphone in the country. The device was originally unveiled at IFA in September alongside the Lenovo K6 and K6 Note. The phone flaunts a premium metal unibody design, and a fingerprint sensor located at the back panel. A beefy 4,000mAh battery is the main highlight of the device. The Lenovo K6 Power sports a 5-inch full HD display, and is powered by an octa-core Qualcomm Snapdragon 430 processor. It comes with 3GB RAM and 32GB of storage, with a microSD card slot for memory expansion. The camera department includes a 13-megapixel primary snapper with an LED flash, and an 8-megapixel secondary shooter. In terms of connectivity, it offers 4G LTE, VoLTE, dual-SIM slots, Wi-Fi, Bluetooth 4.1, and GPS. The phone comes in Dark Grey, Gold, and Silver variants. The handset comes with Dolby Atmos-powered speakers. Software-wise, the K6 Power boots Android Marshmallow with Vibe Pure UI on top. It also gets additional software tweaks like individual app locks, secure zone, and the ability of capturing long screenshots. The Lenovo K6 Power is priced at Rs 9,999 and will go on sale exclusively via Flipkart starting December 6th in grey, silver and gold colours.